You will find the children who are good at reading are also good at other subjects. The good readers are usually always in the top of the class in all subjects. But the number one difference between the good readers and the bad readers is self-confidence and self-esteem. One of the biggest benefits of helping your children to improve their reading skills. Is the increase in self-esteem and self-confidence they will experience. And this flows on to other subjects. You will see the difference in your child. As your child’s reading improves you will see their self-esteem increase also. And they will become more self-confident as their grades improve over all their subjects. This video is an introduction into the Montessori Method of teaching reading using sandpaper letters. This method has been around for a long time but it never really caught on in mainstream schools. The second part of the video is about hand strength. Hand strength does play an important role in learning to write. And I am sure some children have problems writing just because of hand strength. Sit back and relax and learn about the Montessori way of teaching reading. 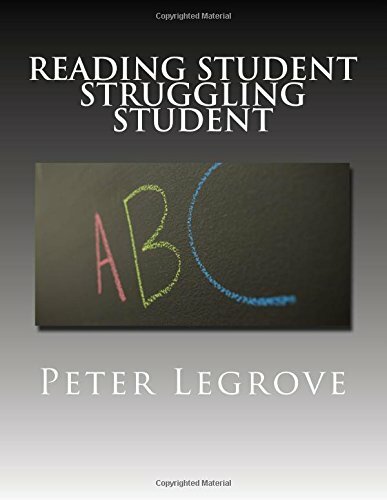 Yes I want my copy of "Reading Student Struggling Student"